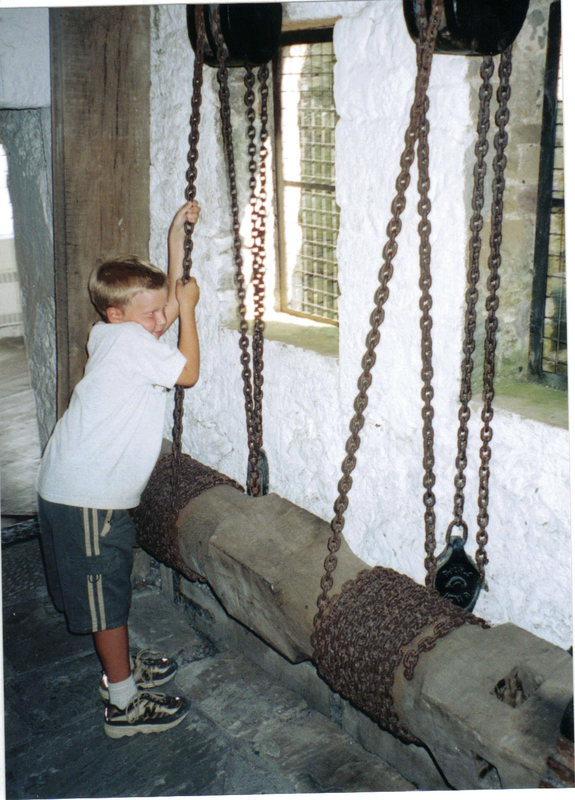 A throw-back photo from Cahir Castle, when my son was a little man of seven, circa 2001. Sure wish we had a strong drawbridge about now, or an ark would do fine also. Multitudinous amounts of rain forecast here over the next few days. This entry was posted in Family, Humor, Life, Photography, Travel and tagged Cahir Castle, Castle, drawbridge, East Coast, hurricane, Ireland, rain, storms, weather by lyonsroarforgod. Bookmark the permalink. Precious picture of one of my favorite people when he was little! Yes, an ark would be great around here!